As 2nd Vice Chair for the American Seed Trade Association (ASTA), John Latham serves as a liaison with state and regional associations on national legislation. 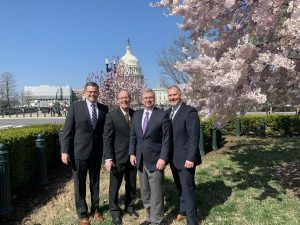 John Latham, president of Latham Hi-Tech Seeds, last week joined a diverse group of seed-industry leaders Washington, D.C., for the American Seed Trade Association’s (ASTA) annual Storm the Hill legislative event. 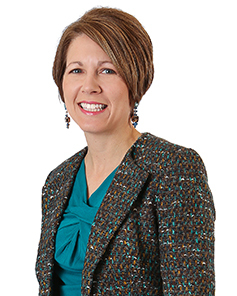 Topping the list of 2019 legislative priorities are innovation, trade and agriculture research funding. INNOVATION: Plant breeding innovation offers exciting potential for our planet, our health and our food. Breeding methods like gene editing can be accessible to breeding programs for every crop and to both the public and private breeding sectors. To fully realize the potential of evolving methods, policy must be based on the end-product and not the breeding method itself. If newer breeding methods result in plant varieties that are the same or indistinguishable from varieties developed through more traditional methods, they should not be treated differently from a regulatory perspective. It is critical that USDA, EPA and FDA are coordinated in their policies surrounding plant breeding innovation, and that the U.S. takes a leadership role in working towards policy alignment at the global level. LEARN MORE. TRADE: Seed is a global industry, with U.S. exports totaling $1.9 billion in 2018. Seed exports to Mexico and Canada combined for a total of $630 million last year. ASTA urges swift passage of the U.S.-Mexico-Canada Agreement (USMCA) agreement which: strengthens science-based sanitary and phytosanitary regulations; provides strong intellectual property protections, including adoption of UPOV 91 requirements; and promotes innovation by harmonizing the agricultural biotechnology trait approval process. LEARN MORE. AGRICULTURE RESEARCH: ASTA members will be reinforcing the need for continued funding for USDA agriculture research, including critical programs like the Germplasm Enhancement of Maize (GEM) program and the National Plant Germplasm System. GEM is a unique public-private partnership between the federal government, universities and companies of all sizes, GEM supports global food security by promoting genetic diversity in corn. LEARN MORE. ASTA members representing 15 states participated in more than 70 meetings on Capitol Hill.